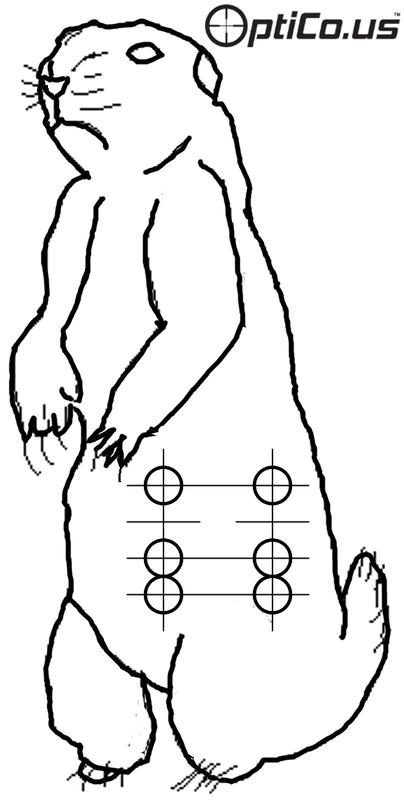 Prairie Dog target: Print full size for accurate 10″ height and strategic target circle spacing. Probably best to save the image and then print outside your browser. Full size Prairie Dog target with accurate strategic target circle spacing intended to be used during zeroing.